Please note that the hospitals and health centres where our volunteers can assist are government institutions, and RIPPLE Africa is not able to change or influence the way in which the Malawian staff work at these centres. Fully trained clinicians such as nurses, midwives, and doctors, and perhaps senior medical students. Mwaya Community Dispensary, Kachere and Kande Health Centres and Chintheche Rural Hospital. Family Planning and Sexual Health project. If you are an open-minded, flexible and pro-active medical professional and are in Malawi for the whole experience rather than seeing yourself purely as a service provider, then you will gain a lot from this volunteer opportunity. Volunteers with medical training should come with an open mind about their role and be aware that, due to the vast differences in how healthcare is delivered, they may find themselves doing very different work to their usual practice. This can be both frustrating and very rewarding, depending on your expectations. To be most useful in a rural health centre setting, healthcare volunteers need to be fully trained clinicians such as nurses, midwives, and doctors, and perhaps senior medical students. We are not able to consider medical or nursing students doing their electives as there are no sufficiently qualified staff at the Dispensary or Health Centres to supervise them. Areas of experience that would be particularly useful include General Practice, Tropical Medicine, Paediatrics, Infectious Diseases and HIV, Obstetrics and Gynaecology. Previous experience of working and/or travelling in a developing country would be of great benefit. Unlike the education part of our volunteering programme where we can find projects for a number of volunteers, the healthcare section of our programme requires much fewer volunteers. Please be aware that the Dispensary and Health Centres have very few facilities, and some healthcare professionals may find working there limiting and frustrating (please read the documents listed in the Links to Documents section at the bottom of this page so you will know what to expect). Three healthcare volunteers (one doctor and/or two nurses) is the maximum number needed at any one time. In addition to working at the Dispensary and/or Health Centres, healthcare volunteers may also like to spend one or more days a week at the rural hospital in Chintheche (25km north of Mwaya Beach). A number of healthcare volunteers have also taught in the local secondary school and have found this very rewarding. Currently, there is a shortage of physiotherapists in Malawi and, while there is a higher concentration of physiotherapists in the bigger centres, such as Blantyre, Lilongwe and Rumphi, the rural areas tend to have far less assistance. 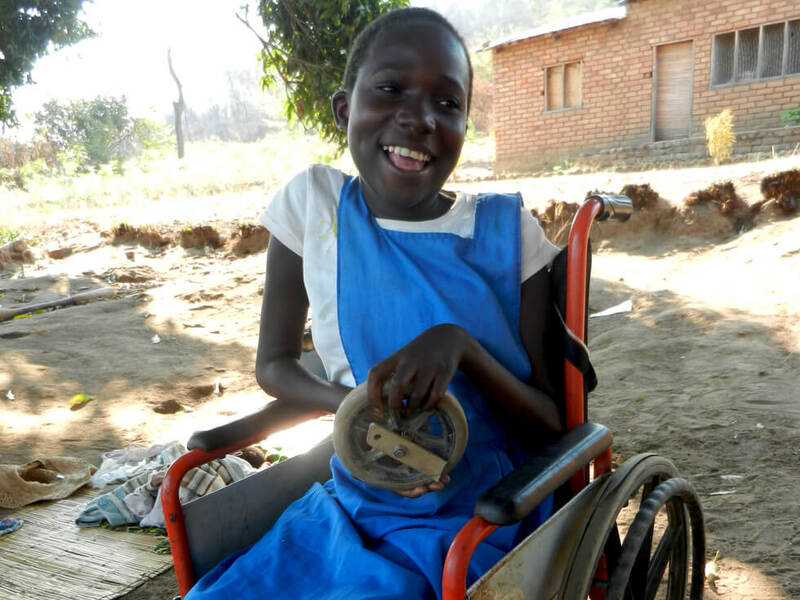 In the rural areas, physiotherapy is dependent on community based rehabilitation providers, who are very often physiotherapy assistants, and operate out of organisations such as MACOHA (Malawi Council for the Handicapped) and MAP (Malawi Against Physical Disability). 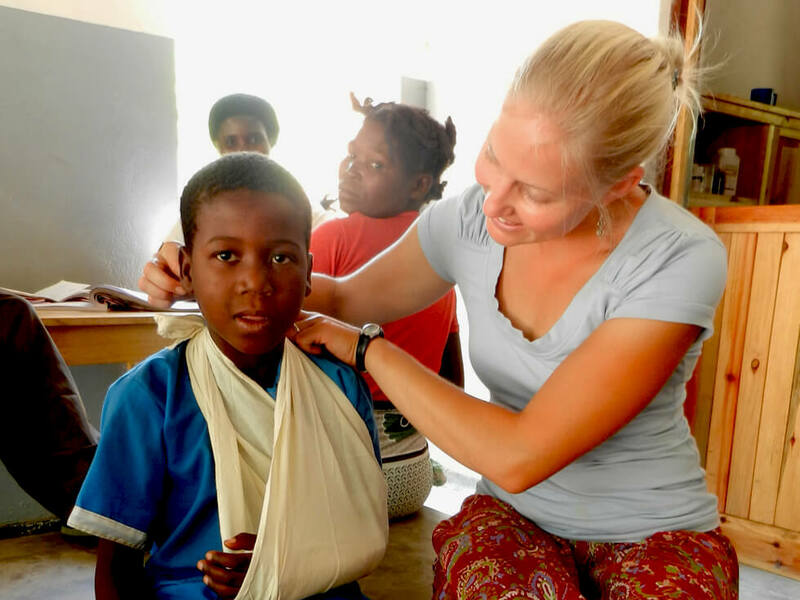 Physiotherapists with experience working with people with a disability, neurological disorders, paediatrics, burns and amputees would find their skills and knowledge of particular use in this area of Malawi. However, anyone with general musculoskeletal and orthopaedic knowledge will also find plenty of work in the community. 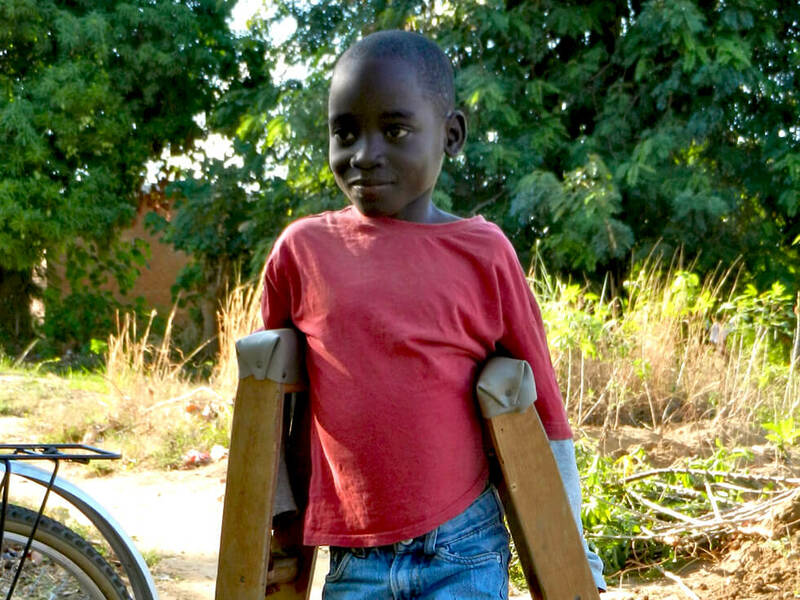 In the community surrounding Mwaya, multiple conditions can be found, including cerebral palsy, Down’s syndrome, muscular dystrophy, arthrogryposis, and varying deformities requiring orthopaedic correction, together with the treatment of patellofemoral pain, arthritis, back pain, and post fracture immoblisation stiffness. Please read the documents listed in the Links to Documents section at the bottom of this page for further information. We encourage a stay of a minimum of three to four weeks. The average volunteer placement is around three months which allows volunteers to establish solid relationships in the community and contribute a reasonable amount of time to the projects. It is important to recognise that, although the volunteers will benefit enormously from their experience volunteering with RIPPLE Africa at Mwaya, our main responsibility is to provide consistent and effective assistance to the community. It is very important to maintain consistency and continuity in relationships, projects and work already underway and, to this end, we have a Volunteer Projects Manager at Mwaya Beach who is responsible for all volunteers. He will introduce arriving volunteers to the Mwaya Dispensary and the staff there, and show them the other local clinics. He will also introduce them to the teams of the Disability and Rehabilitation project if this is their area of expertise. Mwaya Dispensary, and Kachere and Kande Health Centres fall within the Nkhata Bay District administrative area which has a population of approximately 270,000 people. Of these, about 30,000 live in Nkhata Bay boma (town) itself and 240,000 in the rural areas. There are 15 rural Health Centres, one regional hospital and one District hospital in the Nkhata Bay District. Together with the rest of Malawi, the medical services available at Mwaya Dispensary, and Kachere and Kande Health Centres are free of charge, and together they serve a population of approximately 21,000. Both the Dispensary and the Health Centres deal mainly with the treatment of malaria, malnourishment, and minor illnesses, but only the Health Centres at Kachere and Kande have the facilities for delivering babies. The dispensaries at these facilities stock basic medicines and some antibiotics. The rural hospital at Chintheche is 25km north of Kachere and 17km north of Kande, and this is where patients are usually referred in the first instance. Larger hospitals are between 60km (Nkhata Bay) and 100km (Mzuzu) away and usually deal with more serious ailments. There is a VCT (Voluntary Counselling and Testing for HIV/AIDS) clinic at Mwaya Dispensary once a week, and also ones at Kachere and Kande Health Centres. The staff at the VCT clinics (some paid and some volunteers) can test and provide immediate results, and then give much needed advice for those who test positive or who require information. Under 5s clinics are held regularly at Mwaya Dispensary, Kachere and Kande Health Centres, and in the local area to monitor and innoculate babies and children under five years old. This healthcare volunteer opportunity is very much a self-directed initiative which involves evaluating the needs of the Dispensary and the Health Centres with the Medical Assistants, nurses, and Health Surveillance Assistants, and tailoring your responsibilities to best meet these, taking into account your special skills and interests. There is also an opportunity to work on various outreach projects which can be arranged in liaison with staff at the Dispensary and Health Centres. Mwaya Dispensary is a short walk from Mwaya Beach, close to the Primary School, whereas Kachere Health Centre is about 7km away to the south and Kande Health Centre is about 7km away to the north. Buses, mini-buses, and matolas can be caught at Matete village and cost about GB£0.40 (US$0.66) each way. There are bicycles at Mwaya Beach which can be used by the volunteers, or some volunteers have walked there and back which takes about 90 minutes each way. If you are interested in volunteering as a volunteer nurse, midwife, doctor, or physiotherapist, please read the documents listed in the Links to Documents section at the bottom of this page for more details. A document with information about applying to be registered with the relevant regulatory bodies in Malawi for the duration of your placement can be sent upon request. The registration process can, however, take a long time, so any nurses, midwives, doctors or physiotherapists wishing to be registered will have to make their applications well in advance of the start of their placement. To find out how to apply to become a healthcare volunteer with RIPPLE Africa, please go to the Application Process page, or complete the Enquiry Form.